Pecan Pralines. That delightfully wonderful confection distinctive to Louisiana history. The recipe was brought over from France and adapted to our area by replacing the French traditional almonds with the plentiful Louisiana pecans. Cream was also added for a smooth texture and body. 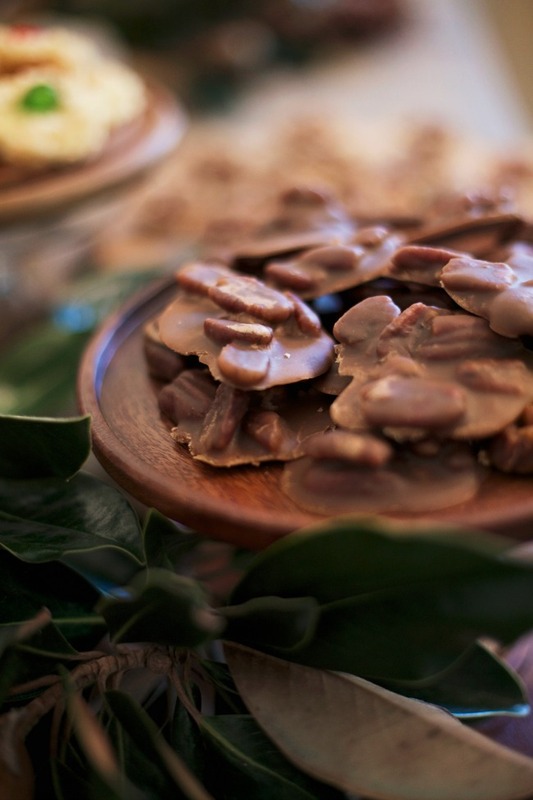 With the abundance of local pecans and sugar cane, Pecan Pralines went on to become a Louisiana staple, as well as, an American Southern favorite candy indulgence. A 50 year tradition that lives on here in Baton Rouge, Louisiana is the Old Fashion Pecan Praline recipe from the Junior League of Baton Rouge River Road Recipes I Cookbook. Enjoy this simple and easy timeless classic that will keep a Louisiana tradition alive for you and your family. Combine sugar, cream and water in a sauce pan and cook to a soft ball stage (238 degrees) . Remove from heat and beat until creamy. Add nuts and drop by spoonfuls onto buttered sheet. You forgot butter in the ingredient list. Thanks Annie! The butter is only used to grease the pan to prevent sticking. There is no butter in the recipe itself. Happy cooking!